If your business suffers a property loss it could cause the business to slow or close down while repairs are made. This may mean a complete or partial revenue loss depending on the time frame and the damage. From the time the loss occurs until your business is running again, insurance can replace your lost profits, and provide a source of money to pay your necessary continuing expenses, like rent, payroll, taxes, etc.Commercial General. Determining the appropriate type and amount of insurance coverage for your business is a delicate balancing act. A commercial insurance agent with the right knowledge and experience in your industry can help you identify risk exposure and suggest strategies to mitigate your risk, whether it is through loss control techniques or other risk management alternatives. 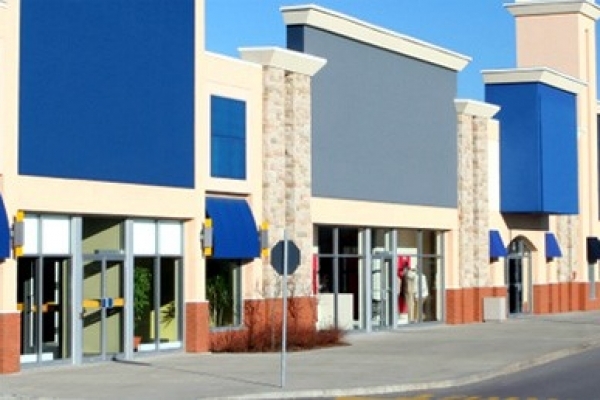 Commercial Property protects your business against the loss or loss of use of company property. "Property" can include a variety of types: lost income business interruption, buildings, computers, money, and valuable papers. Exceptional primary general liability and umbrella cover can be provided for virtually any type of contractor—from commercial drywall contractors to electricians. It is the business owner's or general contractor’s job to make sure that the people working under him/her are covered by an insurance policy. If for example, a person who is not a part of the project gets injured, the injured person’s lawyer can target just about anyone involved in the project. The more individuals that are involved, the greater the chances of a successful lawsuit. Running a hotel in today's competitive environment is a big challenge. Getting the proper business insurance at a reasonable price can be frustrating and time consuming. Nhuy Insurance offers specialty insurance programs designed specifically for hospitality industry. Protection that goes beyond the industry standard forms used by many insurance companies. Product liability insurance protects you in case a product you produce or provide causes harm to a user or a user's property. A "product" is anything that is tangibly used, touched, or consumed. This type of insurance is recommended for every business that manufactures a product, but is especially important for companies that produce food, clothing, toys or anything else that could conceivably cause harm to someone. Most business owner's policies include limited product liability coverage. If, for some reason, you do not have this coverage through a business owner's policy and your product runs the risk of inflicting harm on other people, you may need to buy product liability separately. Similarly, if your product presents a higher risk of injury (for example, it contains a hazardous material), you may need to purchase additional coverage. Errors and Omissions insurance, also sometimes referred to as professional liability, is insurance to protect you and your company in the event a client alleges they have suffered a financial loss as a result of an error or an omission committed by you in the delivery of your professional services. Professional liability coverage is separate from a General Liability (GL) policy which would cover you mainly for bodily injury or property damage liability. The right restaurant business insurance coverage for restaurant owners. Your customers expect a great experience, and you know how to deliver. It isn’t easy - even before you consider all of the risks. In today's technology-driven world, companies face a number of dynamic exposures. Whether it is faulty software, inappropriate advice, hardware failure - companies are increasingly at risk. Claims are growing rapidly, leaving companies liable for expensive lawsuits. Workers compensation provides payments to injured workers, without regard to who was at fault in the accident, for time lost from work and for medical and rehabilitiation services. It also provides death benefits to surviving spouses and dependents. Each state has different laws governing the amount and duration of lost income benefits, the provision of medical and rehabilitation services and how the system is administered. For example, in most states there are regulations that cover whether the worker or employer can choose the doctor who treats the injuries and how disputes about benefits are resolved. Workers compensation insurance must be bought as a separate policy. Although in-home business and business owners policies (BOPs) are sold as package policies, they don't include coverage for workers' injuries.